A career as a freelance autoimmune disease medical writer may be especially rewaring if you, or someone you know suffers from an autoimmune disorder. Those who suffer from such disorders, their friends, family and the medical professionals who treat them, already have relevant experience that allows them to bring information to people in need. 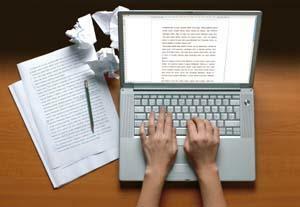 The field, like any other kind of specialty freelancing, has requirements in addition to general freelance writing. Learning as much as possible will help you to be successful and recognized in your field. There are also different types of articles. You may write summaries of research journals for more popular magazines, introductory articles for people who have never heard of the diseases or more official material to educate the recently diagnosed. Double check facts. When writing for a medical market, your advice could potentially mean the difference between life and death. Getting your facts straight is the first step. Double checking them is the second. Use more than one reference. Again, ensuring that your information is accurate is of paramount important in medical writing. Use more than one source for important facts. Know your audience. Audiences vary greatly from one publication to another. Some publications may be geared toward highly-educated medical professionals. Others may be written for medical professionals with lower levels of skill. Still others may be written for suffers of the disease or a general audience with no medical training. You must know in each case who you are writing for. A number of things might prepare you to write about autoimmune diseases. Maybe you're a medical professional with specialized experience or interest in autoimmune diseases. You may also be a sufferer of autoimmune diseases or close to someone who is. You don't need an extensive scientific background to be an autoimmune disease freelancer. A strong interest in the subject and research skills will make it possible for you to move into this field. Read press releases. Often the most relevant and fresh information can be found in press releases. You can also find ideas for articles here. Read current research journals. The operative word here is current. Press releases alert you to new developments in the field, but research journals let you know the deep science behind the latest trends and breakthroughs. Regardless of your reasons for wanting to start freelance writing about autoimmune diseases, careful researching and attention to detail can help you break in. You probably won't be an overnight sensation, but with the resolve to stick to it, you can have a new second (or first) career.